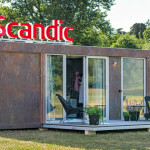 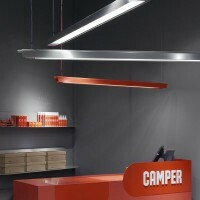 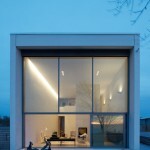 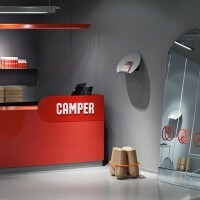 Note Design Studio have designed a store for Camper in Malmö, Sweden. 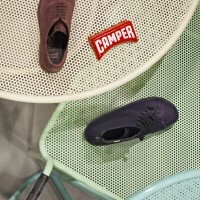 For the establishment of a Camper store in Malmö, Sweden, Note wanted to create a space that conveyed the wayward energy in many of the Camper shoes, but still an environment where the products remained in focus. 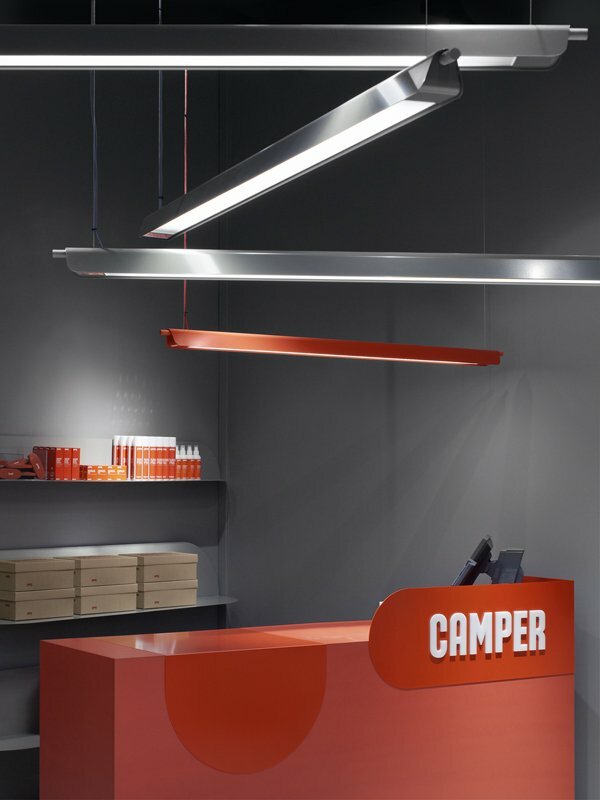 Floor, walls and ceiling have been painted in a neutral gray, making the counter stand out in distinctive Camper-red. 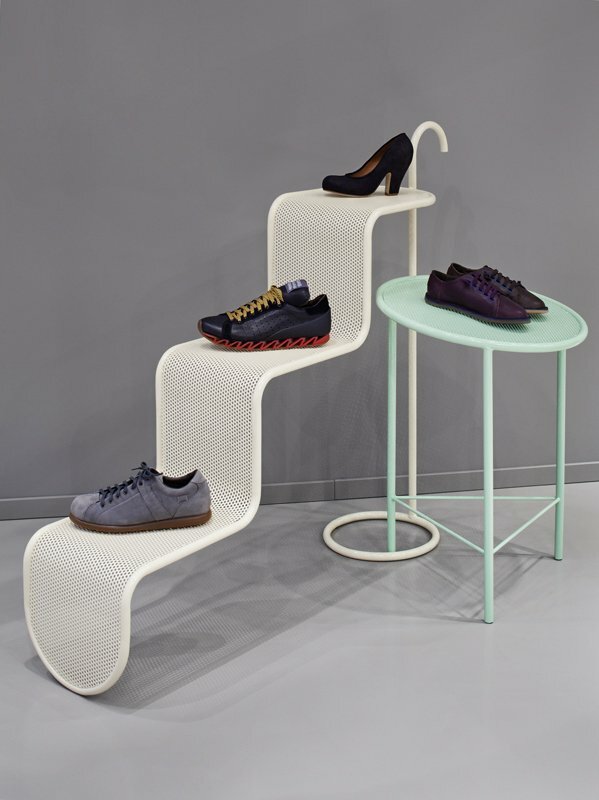 The back of the store is an open compact archive with room for 2000 shoeboxes, whose fronts are clad in mirrors to shield the archive, but which also creates a playful interaction since these mirrors are constantly moving when shoes are brought out for customers to try. 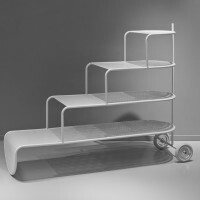 The mobility of the archive has also inspired the other objects grouped together in the center of the room. 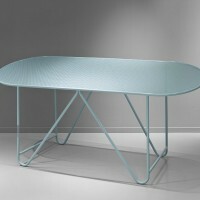 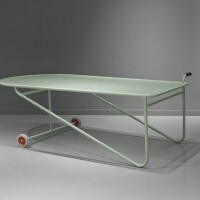 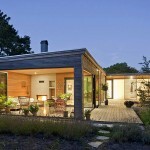 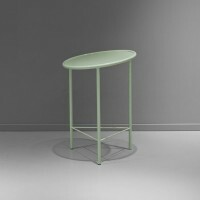 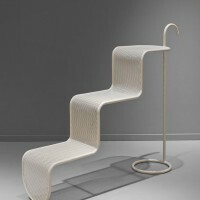 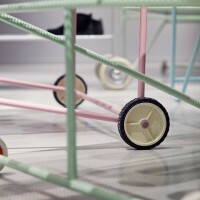 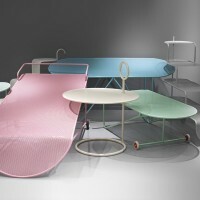 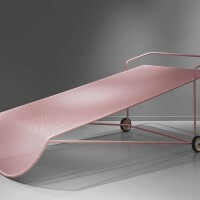 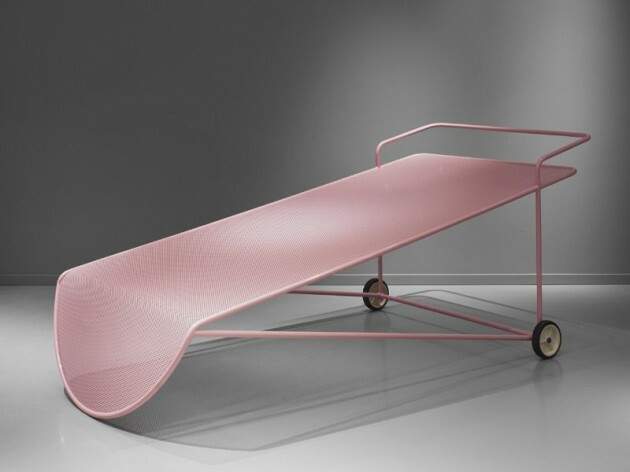 The various furniture pieces in perforated metal and painted in pale pastels give a light and soft appearance, and has handles and wheels so they can be easily moved around the room as needed.Together, the various objects create a calm, inviting whole that can be easily altered just by manual power.